Precision CNC Machining at its Finest! Owens Industries is the Machine Shop of choice for many businesses across the United States, and even some from across the world. Why? The answer is simple – our results are unmatched! When precision is critical on complex components, Owens gets the call. Not sold yet? Just pick up the phone and dial 414-764-1212, we’ll discuss the manufacturability of your design and provide further insight into our CNC capabilities. Once you speak with our Vice President of Operations, Mark Plesnik, the answer will be clear – Owens Industries. Our CNC professionals are your partner for precision When accuracy is of the utmost importance. If you have any questions about our CNC capabilities, contact us today. Owens Industries’ professional CNC engineers will help you make the right milling choice for your specific part and application needs with our multi-axis milling services. We have 3-Axis, 4-Axis, and even 5-axis machining capabilities to help build your components to your exact specifications. We machine parts for a wide variety of industries all over the United States, including aerospace, medical, military & defense, and much more. Similar to a 3 Axis CNC vertical milling machine, 4 axis milling machines are vertically operated and built to function in a timely fashion. This form of cutting includes X, Y, and Z axis cutting plus one rotary axis movement. There are two possibilities of operation - 4 axis simultaneous interpolation (also known as true 4th axis) or just 4th axis positioning, where the 4th axis can reposition the part between 3 axis operations, but doesn’t actually move during the machining. When you need the most precisely-machined components for your equipment, 5-axis milling is the way to go. Owens Industries specializes in 5 axis machining because of its superior functions compared to the 3-axis and 4-axis CNC machines, and is capable of impeccable product and parts creation. Owens Industries goes beyond the capabilities of normal CNC machine shops, helping you achieve the tight tolerances and ultra precision our competitors can only dream of accomplishing. With a clean room type facility, 5 axis machining centers (capable of achieving unparalleled accuracies), Wire and Sink EDM machines with micron tolerances and talented, highly skilled and experienced machinists (many of whom have been with us for 30 years), you can count on the expertise and experience of Owens Industries to produce the most complex components meeting your exact specifications with ease. CNC Swiss machining services offer a wide range of components manufactured for the medical, aerospace or optic industries. Our Oak Creek, WI CNC facility has the latest technology in Tornos CNC Swiss machining lathes for the most precise components manufactured for your exact application. No matter if you work in the medical field or at a company that manufactures aerospace parts, the professionals at Owens Industries can manufacture the best Swiss CNC components. 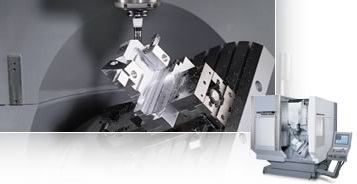 While we certainly have the usual 4 axis CNC machining centers, CNC lathes, accurate grinders, hones and lapping equipment, it is our advanced 5 axis machining centers and wire EDM that gives us additional and unique capabilities. We can perform 3, 4, and 5 axis CNC milling with tolerances from millionths to thousandths of an inch. Tolerances in the 3 to 10 microns range are easily achieved by our machinists. Our best work (speaking in metric), in a unique situation, was achieving a tolerance of 0.5 microns. Which is typically even beyond our capabilities. The simpler 3 or 4 axis CNC precision machine work and CNC lathe work produce tolerances in the range of 20 to 100 micron (.00008” to .004”). Our commitment to ultra-precision work limits the size of our work envelope to a maximum of X:24”, Y:14”, Z:12”. While we do have grinders, we do not accept production grinding work. We use our grinders exclusively to support our complex project work. CNC machines are more accurate, efficient, and safer when compared to other forms of metalwork (including casting and laser cutting). They allow for l production work to be completed to higher quality standards, ensuring each part machined is perfectly accurate. With 5 axis and machining centers and micron accuracy EDM, our capabilities go far beyond that of normal metal fabricators. 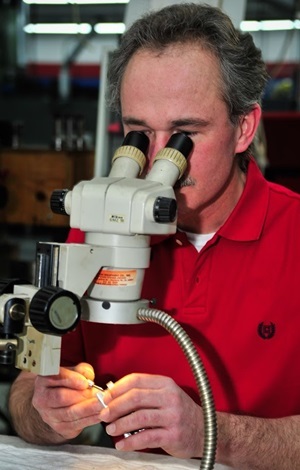 Owens Industries is particularly qualified to handle high-end ultra-precision machining work. Call our machinists today to learn about our services and how they can benefit you and your complex component needs. 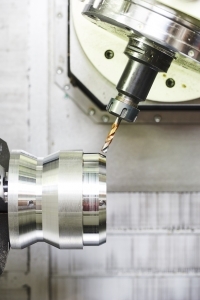 Contact the EDM machinists at Owens Industries to discuss your CNC machining needs today. With 5 axis milling centers and micron accuracy EDM, the capabilities of CNC machines go far beyond what normal metal fabricators can achieve. Meeting your complex component needs is best done with CNC machines because of their flexibility, wide applicability, speed, specific precision, convenience, and ability to reduce liability. With the many CNC services Owens Industries offers, we cover each of our clients with these guarantees, providing superior CNC machining services to all Wisconsin, Midwest, and United States companies. 5 axis milling is one of the most capable axis services available (exceeding the possibilities of 3 and 4 axis machining). Owens Industries utilizes 5 axis machining because of its flexibility in cutting and producing parts for our clients. It has the unique capability to cut complicated shapes without having to set up separate parts. This CNC technique is not only efficient, but can save companies money as well. It gives you the option to cut complex parts from solid blocks of metal and other materials, eliminating the need to use the time-consuming casting process. Five-axis machining has shorter cutting tools, allowing for faster cuttings speeds and reduced vibration of the tools itself – minimizing imperfections in the material being cut. Additionally, when it comes to hole drilling with 5 axis, users can save a lot of time. Most machine shops use alternative metal working equipment to drill a series of holes in parts from different angles – this can waste time and money. 5 axis milling machine heads can be programmed to adjust and line up along different axes automatically. This gives 5 axis a hand over other metal working equipment because it can work much faster with its flexible setup. Owens Industries offers 5 axis CNC machining services because it allows our clients to save time and money when ordering parts. Aside from its wide material cutting range, wire EDM boasts a number of unique capabilities companies may find worthwhile when ordering parts with Owens Industries. It ensures fast turnaround times, reducing production costs and ultimately saving your company money! Tight tolerances and polished finishes are easily produced as well. Wire EDM CNC machining services can be found at Owens Industries. Another form of electrical discharge machining, capable of cutting complex pieces wire EDM cannot, is Ram / Sink / Plunge EDM. Also known as Cavity EDM, an electrode erodes the workpiece while submerged in a dielectric fluid, cutting the desired cavities or shapes into a part. With the process occurring in a fluid medium, metal chips from cutting are easily removed and cooling the sinker EDM tool is effortless – keeping the operation moving forward in a timely manner. This improved cooling is caused by the automatic switching off of the electrical impulse, it improves the wear resistance of the electrode and without effort improves the surface integrity of the workpiece being cut. The electrical impulses have a frequency between 50 and 500 KHz, keeping the electrode from breaking down over time due to its electrical discharges. This allows time to be utilized efficiently, helping companies save time and therefore directly aiding in the effort to save money. Owens Industries has unique capabilities because of the many CNC machining services we provide, including our cost and time-effective Ram / Sink / Plunge EDM services. Micromachining is one of the latest CNC machining technologies and one of the most popular as well. It is an affordable solution for any detailed parts you need cut within your time limits and budget. 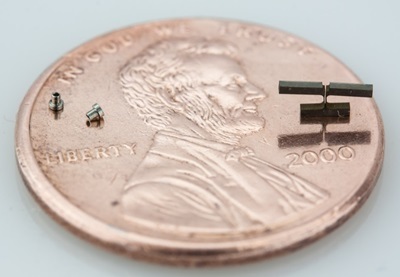 Whether you’re based in Texas, Florida, California, or anywhere else in the U.S., Owens Industries can machine your parts easily with our CNC micromachining services. Owens Industries offers micromachining as a solution for projects needing precise, detailed cutting. As a provider of CNC services for 60+ years, Owens Industries has built its entire business off convenience for companies looking to machine parts at affordable prices without sacrificing important production time. The bane of our CNC machining services existence can really be summed up with our CNC lathes / turning services. 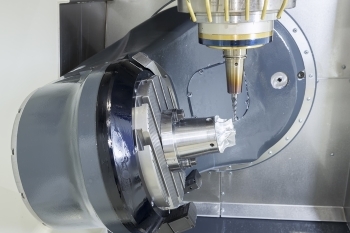 With one operator needed to feed the computer a set of dimensions, lathes and turning work delivers accuracy and speed with any project it’s assigned. Lower costs with our modern CNC turning services. Owens Industries offers a quick and money saving solution for your parts needs. You can save time and money without lifting a finger with Owens Industries’ lathes / turning CNC machining services for companies from any industry. More than 30 decades ago, the original single-belt deburring machines would create 90-degree edges, but today, if the same edges were produced, it would be considered a safety liability. 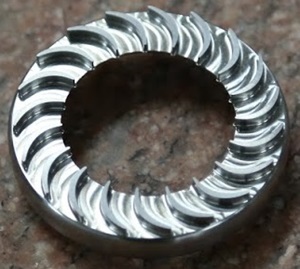 Modern CNC machines, like 5 axis and Wire EDM, produce almost perfect finishes on the parts they machine. What little deburring is necessary is completed by-hand by our experienced and dedicated deburring department, assuring absolute precision in every part Owens manufacturers. Owens Industries offers advanced deburring services to help you reduce liabilities and smooth surfaces with your products and parts! Operating out of Oak Creek, WI, Owens Industries’ leading CNC machining services are only an hour and a half away from Chicago. We provide the best CNC services in the Midwest because our capabilities exceed what typical CNC machine shops offer. With a focus on flexibility, efficiency, safety, cost-effectiveness, and time-saving CNC services, we can create and cut products and parts for companies from almost any industry.